The main names in early modern Tyrone were O’Neill, Donnelly, Quinn, McKenna, McLaughlin and Devlin. 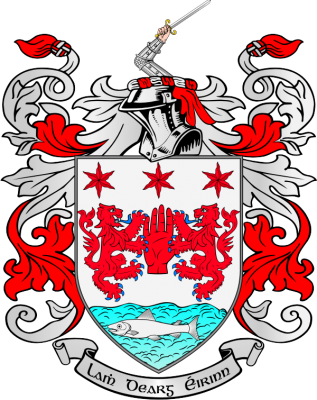 Today O’Neill is still one of the main Tyrone names, as are the others abovementioned, along with names of Scots or English origin that date from the Plantation of Ulster in the early 17th century. Examples of these include Wilson, Stewart, Montgomery, Buchanan, Hamilton and Richardson.